The Colour Your Day With Love Bouquet is bursting with crimson hues to create the perfect gift for your sweetheart. A selection of beautiful blooms in shades of red are mixed with greens to create a hand-tied bouquet guaranteed to take their breath away. This really is the perfect gift for an anniversary or to create a romantic moment. 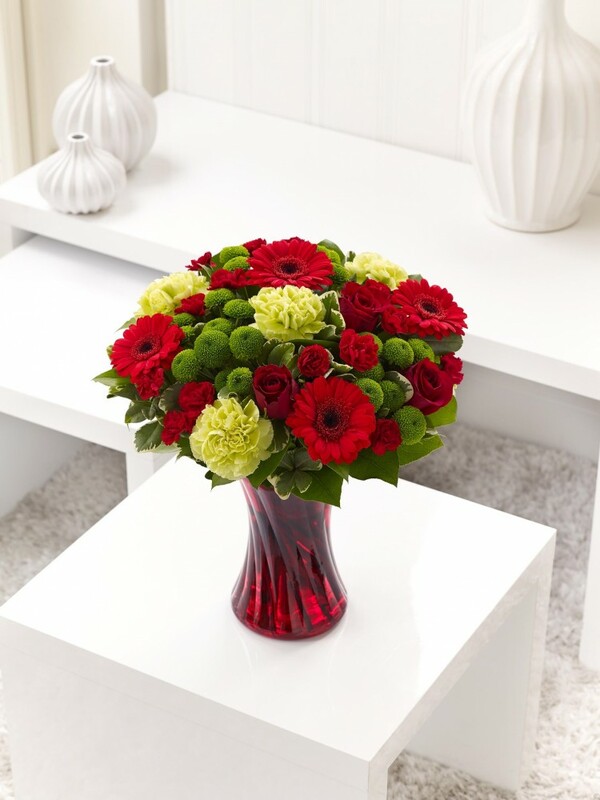 Featuring large-headed red rose, red germinis and red spray carnations hand-tied with green carnations, green spray chrysanthemums, salal and pittosporum, all beautifully presented in a red swirl glass vase.